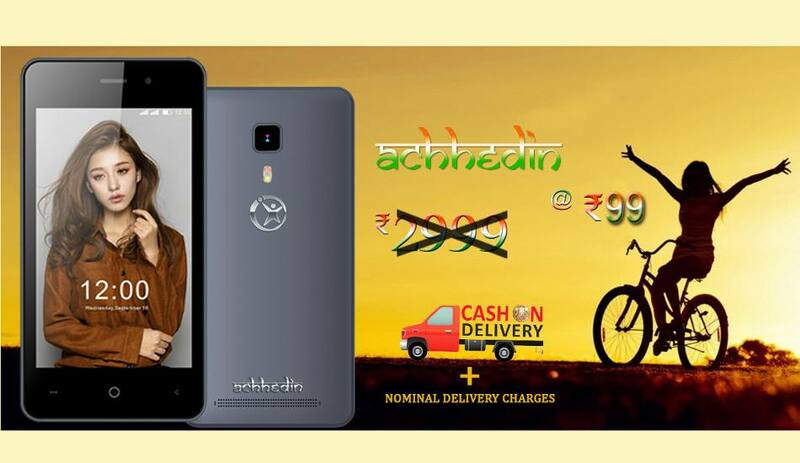 After Freedom 251 and Docoss X1, it's now Namotel Achhe Din's turn to acquire the tag of world's cheapest smartphone. 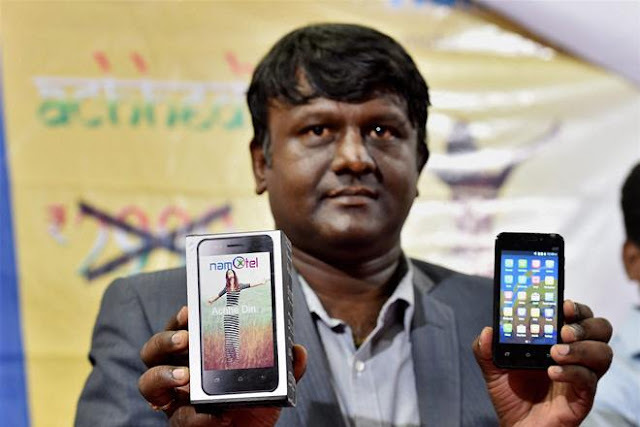 The smartphone will be available at an astonishing price of Rs 99. Namotel's Facebook page says the phones can be booked at www.namotel.com, www.namotel.in, www.namotel.net. It also shows that price of the phone has been slashed from Rs 2,999 to Rs 99. The 3G smartphone will be available for booking until May 25. The company will accept cash on delivery. The Namotel Acche Din smartphone sports a 4-inch display, a quad-core processor with 1GB RAM and 4GB of internal memory, further expandable by up to 32GB via microSD card. The dual-SIM phone runs Android 5.1 Lollipop. It has a 2-megapixel rear camera along with a 0.3-megapixel front-facing snapper. The phone is powered by a 1,325 mAh battery and will be available in the colours Black and White.